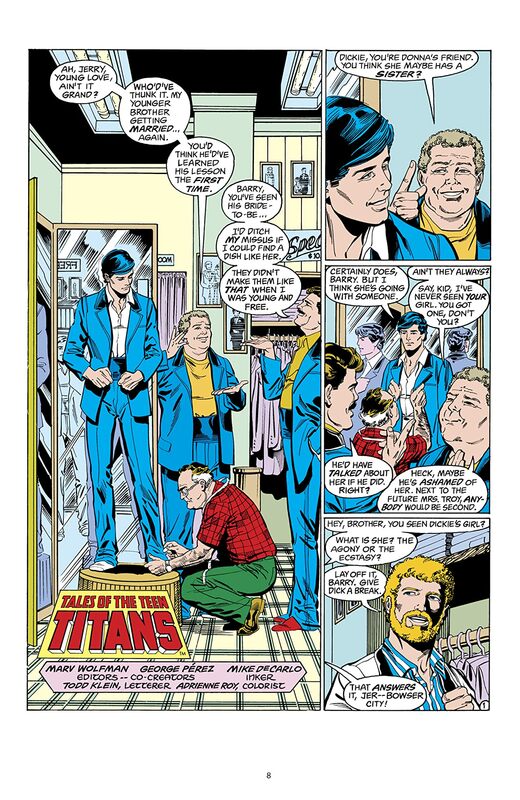 The original Teen Titans always stood in the shadows of their larger-than-life mentors—young heroes like Robin, Wonder Girl and Kid Flash saw plenty of action, but it was Batman, Wonder Woman and the Flash who ultimately called the shots. 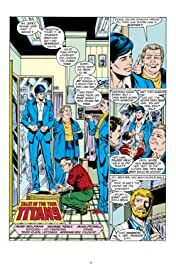 All that changed, however, with the arrival of THE NEW TEEN TITANS in 1980—and the lives of DC’s adolescent adventurers would never be the same! 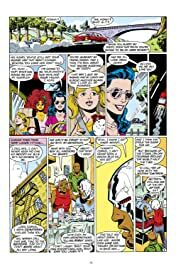 Now, for the first time, the saga of Wolfman and Pérez’s NEW TEEN TITANS is available in a comprehensive series of trade paperback editions. 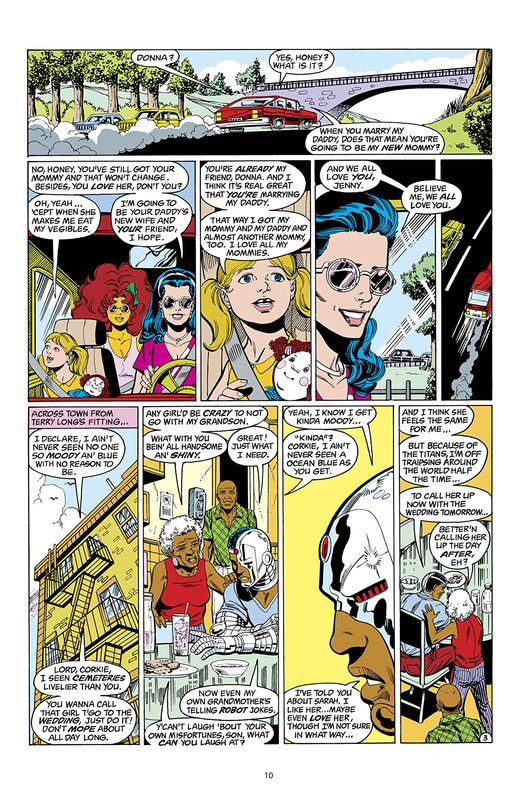 THE NEW TEEN TITANS VOL. 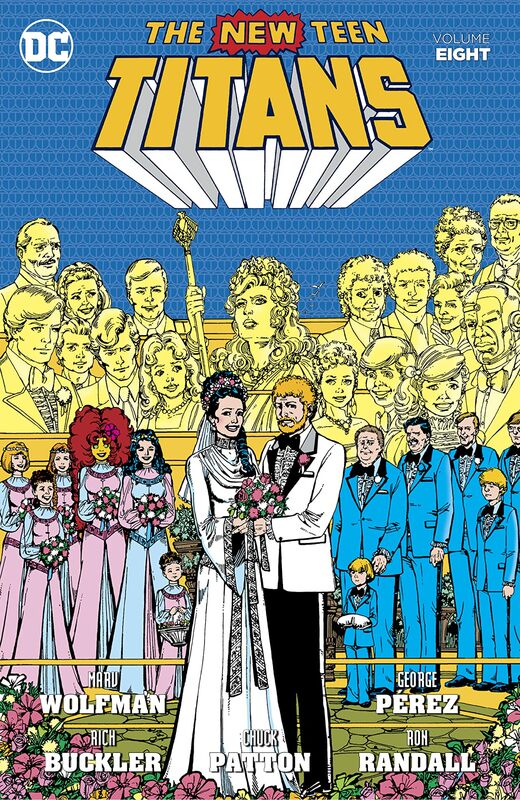 8 collects issues #49-58 of TALES OF THE TEEN TITANS and features the legendary wedding of Donna Troy, as well as the never-before-reprinted tales “The Trial of the Terminator,” “Jericho’s Story” and more!